You would like to think that the safety of a company’s employees is automatically a top priority, but sadly that is not often the case. Whether through a company’s neglect, lack of resources, or lack of knowledge, the country’s workforce is continually put at risk. You can walk into any number of facilities or job sites across United States and find – among the signs reminding everybody that Safety is, of course, First – fall hazards, electrical hazards, fire hazards, cave-in hazards, and many, many more. A company can say they want to improve their safety program all they want, but until it is truly made a company priority, in all likelihood the program will continue to be sub-par – if not an outright failure. So, how should a company go about making safety a priority? 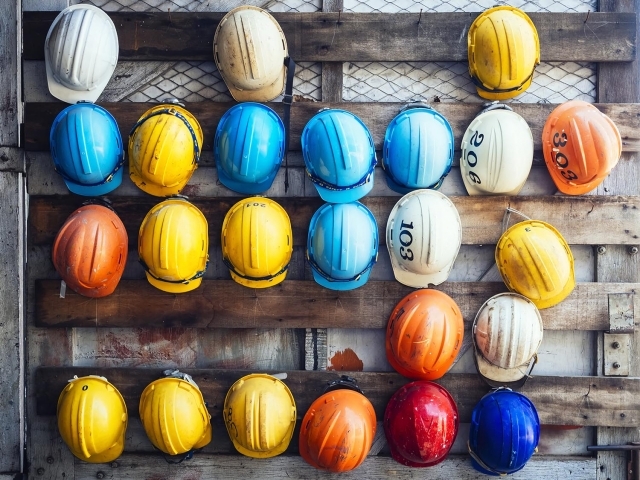 Before you even begin speaking with your workforce about your desire to make safety a company priority, make sure you and your management team fully understand why you are doing it in the first place and just what it entails. Decide what you want out of a safety program and in what order you are going to implement the various components. A robust safety program is so much more than just a book on a shelf, so be prepared for some time to be spent developing it and even more time implementing it. Change won’t happen overnight. While we like to believe that a good safety program is simply about keeping people safe, in reality it’s also about your company’s bottom line. Are you looking to reduce insurance costs? Are you hoping to be able to show better safety performance and statistics so you can land more jobs? Are you hoping to increase employee morale? Or, do you have nothing else in might but a genuine concern for the well-being of those that work hard to keep your operation running? Once you know why you are doing it, it becomes much easier to determine what you want to do and how you are going to do it. Almost without exception, if your top management and executives are not on-board with making safety a company priority, the program will fail. Employees are more aware of what’s going on in their companies than some management personnel give them credit for. If a mid-level manager is trying to implement a safety program but his boss is harping on him for how much time it’s taking or how much money it’s ‘wasting’, the employees will know. Discuss the program with the highest levels in the company. They should be in on developing the goals we just discussed, but be prepared: you may need to sell the idea. If you have leadership that may be reluctant to spend the resources, figure out what’s going to get them on board. Is it statistics? Is it the money it will save them? Is it pulling on the heart-strings with some real-life stories of families who have lost loved ones? If you’re lucky, this won’t be a hard sell, but it will be a sell. Don’t go in unprepared. Once you’ve sold them on the idea, the announcement to the workforce should come from the top. Whether you’re implementing a program that never existed before or you’re refocusing efforts, your top brass should be the ones telling the company – preferably in person. It is important to let everybody know that not only are the executives on board, but that they actively support the program. Hearing the message from the proverbial horse’s mouth is going to carry much more weight than hearing a declaration by their immediate supervisor or reading about the company’s new initiative in a memo. Once you announce your plans to your employees, they’re going to be watching. Leadership needs to set the example, because if they don’t, getting their subordinates to cooperate will be near-impossible. Sure, they have the extra incentive of being the ones on the front lines – the ones whose lives and limbs are in peril, but they also still look to their supervisors to see just how serious the whole thing is. If they want to get away with not wearing safety glasses and their supervisor refuses to wear them, they’re going to get away without wearing safety glasses. And, if management is held to a different standard, the legitimacy of the entire program will be called into question constantly. There can be only one standard – no standards based on level, years of experience, or who that person happens to be friends with – just one standard that everybody is held to. Executives should demonstrate their support every chance they get by ensuring that they’re wearing the proper PPE on the floor or when they walk the site. They should take a moment to pull employees aside who aren’t doing what’s necessary, to discuss the importance of the program or to congratulate those that are doing what needs to be done. Now that you’ve got support from the top, it’s time to ensure that your employees’ voices are being heard. Remember, these are the people in the trenches (sometimes figuratively, sometimes literally). They know where the program is lacking because they live or die by it. Speak with them, survey them, find out just what needs to be addressed. And, take every suggestion seriously. Does it mean you need to address each and every complaint? No. But you do need to hear your employees out, and if you feel a concern is not valid, you need to be prepared to explain why. I’ve heard many, many excuses for dismissing employee concerns and the vast majority of them have been based in personal feelings toward that person. Remember, even your squeakiest wheel might just be correct about what they’re complaining about. Take a moment to figure out whether or not they are. As things get rolling, you need to keep employees involved. The easiest way is to establish a safety committee. Ensure that you have a good cross-section of your personnel represented on that committee. A safety committee meeting should never be all top management or all field/line workers. Mix them together and find a way to nurture open, honest discussion. It’s important that supervision is coached on how to do this. It is very easy for them to turn a well-intentioned safety committee into a group where field and line employees won’t speak their minds for fear of retaliation. To this end, avoid blame and punishment for things that arise during these meetings and, rather, use the discussion to find deficiencies that need to be fixed. Use the discussion to come up with new ideas that will keep employees engaged. Use the discussions to ensure that your employees know that they are being heard. When your employees feel like a part of the program, it is much more likely to succeed. Care about the people that work for you. Genuinely. You’ve heard it before and you’ll hear it again: your employees are your most valuable resource. Sometimes they might upset you, sure, but in the end, they keep your business moving. Think of them as the people they are, not as cogs in the machine. Think about them as husbands, wives, mothers, fathers, sons and daughters, not as nameless automatons operating the controls. Talk to them. Know them. Ask them how their family is. See how that dog adoption turned out. Congratulate them on some volunteer work they did or on their child’s basketball championship. Of course, you won’t always know about these details, but if you don’t value your employees I can guarantee that you’ll never know about these details. And now that they are actual people in your mind, imagine what their families would go through if they could never come home again. Imagine the grieving spouse, lost, depressed, attempting to raise their children alone. Imagine the children, not able to understand why Mommy or Daddy won’t come home. Imagine those children getting older, losing their way, struggling with grades, experimenting with drugs, dropping out of school, attempting suicide. This is not being overly dramatic. These are the things that happen to children who suddenly lose a parent. Imagine having to be the one to make the phone call or drive to the family’s home to break the news. This is a position nobody ever wants to have to be in. You should be doing everything in your power to ensure that you never are. Making safety a priority in your company is a process, not a spontaneous decision with an immediate response. It will take work, dedication, and support at all levels. Executives will make it happen, supervision will set the tone, and the workforce will work with supervision to develop the program and ensure it serves their needs. Do it in small steps if you need to, but do it. They may huff and puff on the outside as new procedures are implemented, but in the end, your employees will thank you. More importantly, though, they’ll be alive and well.